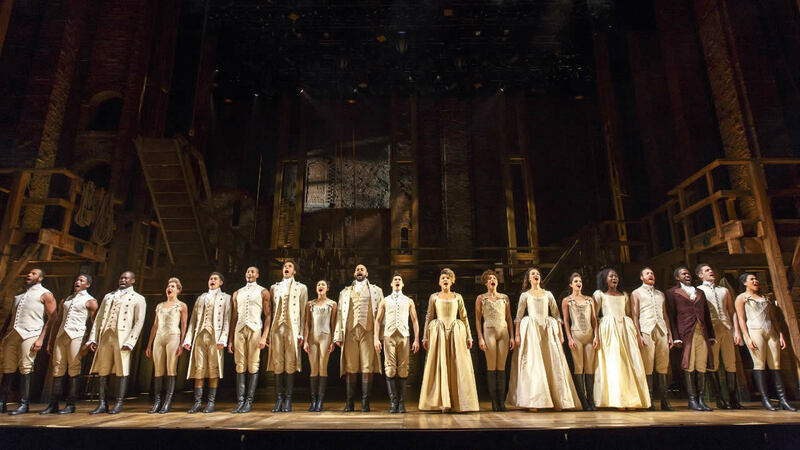 OAKLAND (KGO) -- Cast members from the national tour of the Tony Award-winning musical "Hamilton" will perform the national anthem at Game 5 of the NBA Finals between the Golden State Warriors and the Cleveland Cavaliers. Joshua Henry, Emmy Raver-Lampman, Solea Pfeiffer and Amber Iman will perform their rendition at Oracle Arena. The national tour of Hamilton is currently playing at the SHN Orpheum Theatre in San Francisco now through August 5.